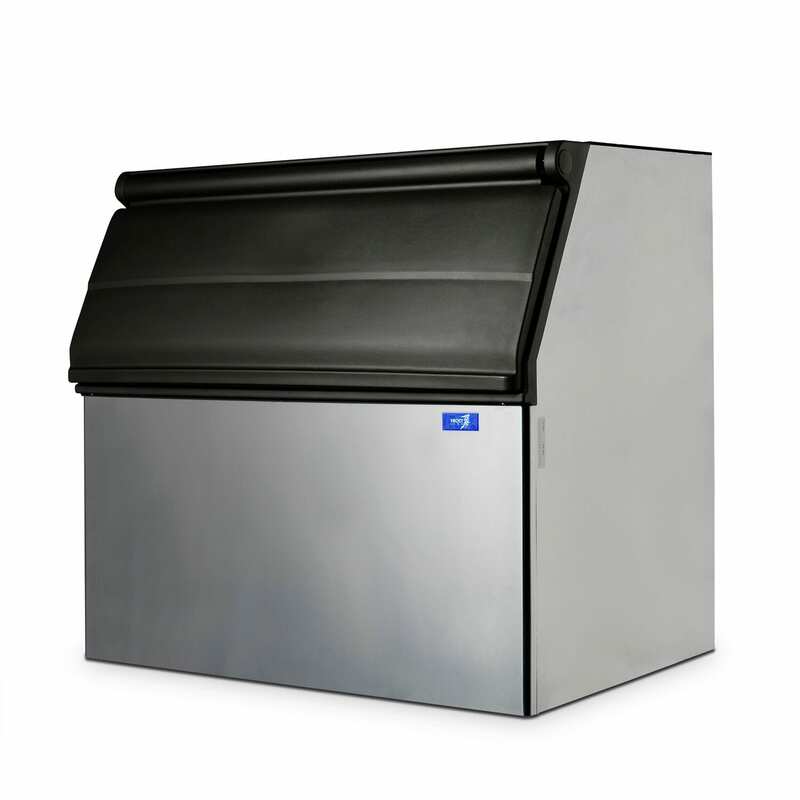 Compliment your new ice cuber head or ice flaker head with a modular storage bin, made out of stainless steel and designed to fit seamlessly with our modular ice maker heads. 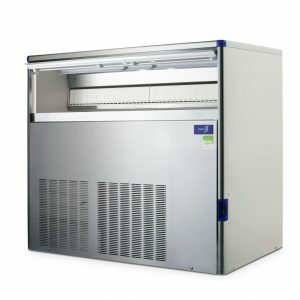 Ensure you’ve got an abundance of ice on hand for when you need it, stored with the utmost security, stability and hygiene. 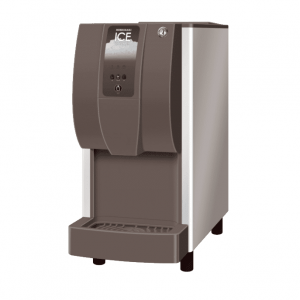 This 100 model is also compatible with the IM145 model modular Ice Machine. • Convenient & hygienic internal ice scoop holder. 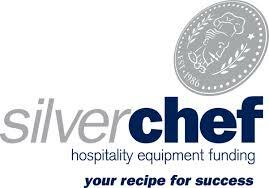 • Exterior panels in durable stainless steel. • High density, non-corroding Polyethylene bin liner, designed with easy-to-clean rounded corners and resists scratches and scuffs from ice scoops. • Robust door frame will withstand operational abuse. • A rounded door-lip profile allows an easy reach for enhanced ease of operation. • Fully removable door gasket seals door opening to reduce ice melting, easily disassembled for manual cleaning. 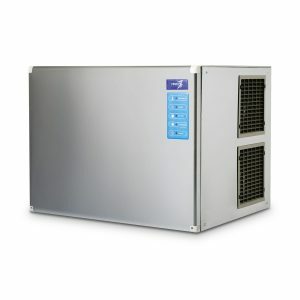 • Internal ice deflector improves ice distribution to maximise storage capacity. • Load resistant, stainless steel adjustable legs. • Bin Caster available on request for selected models. • Storage bin base drain tube conveniently rotates in a 360° radius to allow ease-of-connection with any floor water drain position. Our Storage Bins come bundled with adapter heads if necessary to ensure a smooth installation and snug fit. Also WorkSafe compliant, they can be installed to fit any specifications necessary with two-year manufacturers warranty included.